Budget season is upon us, and we’re dedicating this edition of Morning Wire to parsing out what that means and what could be in store. The points brought up here could be central to debates as the session moves forward, which means the insight into who and what’s at play in the budget-making process—lent by DJ Wilson, Publisher of the Wire—will be especially important to have in your back pocket. 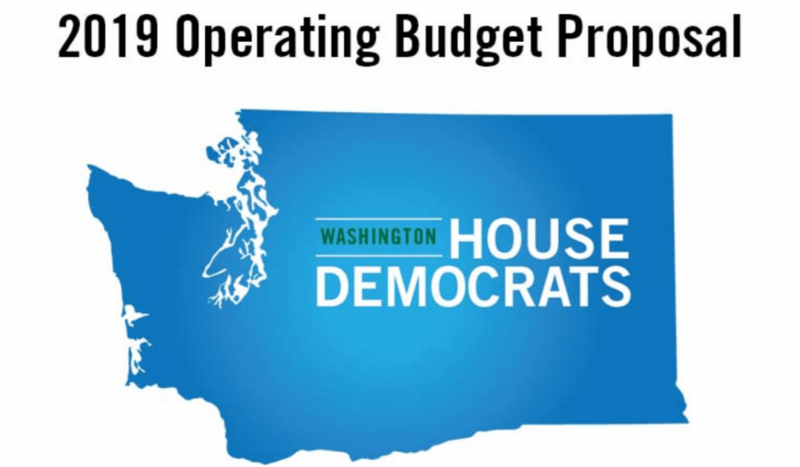 Yesterday, House Democrats presented their proposed operating budget for FY 2019-21. At $52.6 billion, it’s 19.3 percent larger than the $44.1 billion package passed for FY 2017-19. The Legislature is working with a stronger-than-expected revenue forecast, thanks in-part to changes in timing of collections and one-time, large payments. The operating surplus heading into this budget process is about $4.5 billion. At 3 hours and 51 minutes, yesterday’s public hearing was about average in length. The FY 2017-19 House budget hearing went 3:30. In FY 2015-17, the hearing went 4:03. The House is expected to move its budget in an executive session planned for Wednesday. The Senate budget may be out as soon as later this week. The public part of the budget process, which starts this week, is harried, compressed, and meant to limit public input. That’s not for a lack of interest in public input, like that offered in nearly four hours of a public hearing yesterday. Rather, the input process has been mostly behind closed doors, more indirect than direct, and has been months in the making already. To build from Churchill’s quote, this is not the beginning of the process, but the beginning of the end. The process that starts this week is really more about holding together majority coalitions to be able to get across the legislative finish line. DJ Wilson takes you through some of this behind-the-scenes process by way of an old adage explained to him by a former legislator: 90 percent of Olympia plays defense, 9 percent plays offense, and 1 percent plays the budget. Rep. Drew MacEwen represents Washington’s 35th Legislative District and serves as the Assistant Minority Floor Leader, Ranking Minority Member on the House Commerce & Gaming Committee, and Assistant Ranking Minority Member on the House Appropriations Committee. MacEwen joined us as a Wire Insider and spoke about his district’s priorities in the context of budgeting. Three bills that would change taxes and help fund the House Dems’ $52.6 billion Proposed Operating Budget were introduced yesterday. One bill introduces a new tax on capital gains and graduates the state Real Estate Excise Tax, another repeals a couple tax preferences and makes it harder for people who live out-of-state to get their home state’s sales-tax rate in Washington, and one increases the B&O tax on select businesses. Yesterday, the House unveiled a $9.9 billion transportation budget that sets up a potential conflict with the more ambitious plans of the Senate. There, Senate Transportation Committee Chair Steve Hobbs floated the idea of a $17 billion package earlier this session.